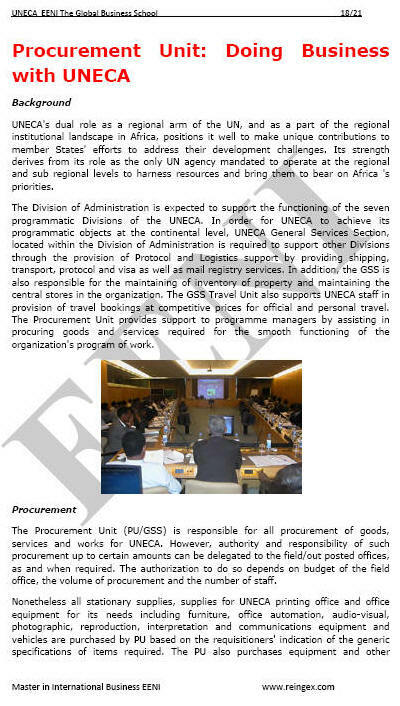 Syllabus of the Online Course (Subject): United Nations Economic Commission for Africa (ECA). 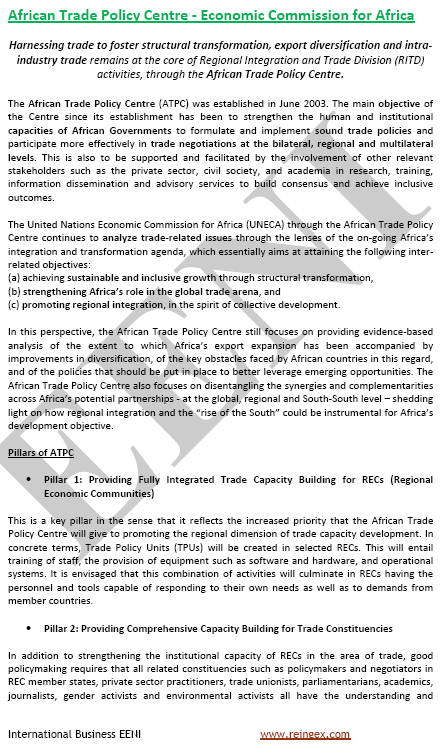 Description of the Online Course: Economic Commission for Africa (ECA). The Economic Commission for Africa (ECA) identifies the importance of focusing on special needs of Africa (the Millennium Development Goals). 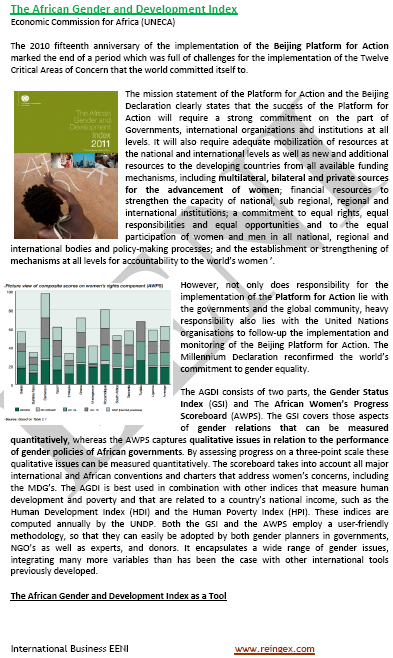 The Economic Commission for Africa focuses on eradicating African poverty, placing African Countries on the path of economic growth and sustainable development, reversing the marginalisation of African economies in the Globalisation age, and accelerating Women's Empowerment. 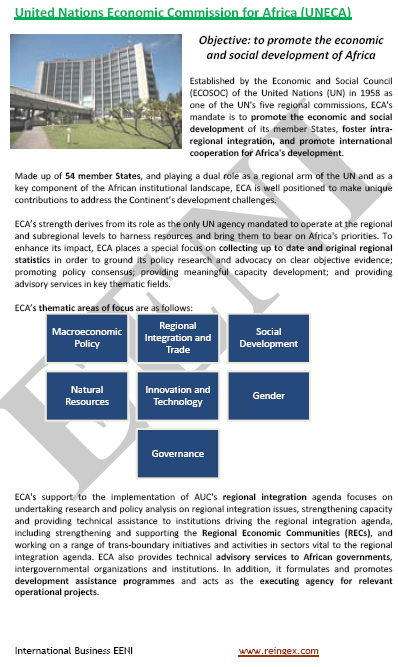 The aim of the Economic Commission for Africa (ECA) is to supply technical assistance to the African Peer Review Mechanism and to promote knowledge. The Economic Commission for Africa (ECA) belongs to African Civilisation.